The host hotel will be the Hilton Greenville located at 45 West Orchard Park Drive in Greenville, SC 29615. Room rates are $132.00+ a night for king or doubles. The number to reserve a room is 864-232-4747 or you can call 1-800-445-8667. Be sure to let them know that you are with the SC Early Childhood Association conference to get the conference rate. 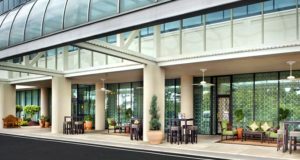 The hotel offers free parking, free Wifi and free shuttle service to the Convention Center or other places of interest within a 5 miles radius. Check in begins at 3:00PM and check out is at noon. SCECA will provide a free continental breakfast for those staying at the Hilton on Friday and Saturday mornings only. We have a secondary hotel reserved for the conference. It is the Sleep Inn and the address is 231 N. Pleasantburg Drive, Greenville, SC 29607. 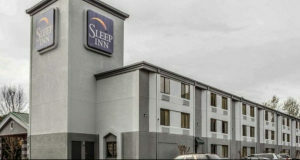 The Sleep Inn offers 2 doubles for $99.00+ per night and one queen for $89.00+ per night. The Sleep Inn offers free Wifi, free parking and a free continental breakfast. There are a limited number of rooms available. The number to call is 864-240-2006. Be sure to tell them you are with the SC Early Childhood Association conference.